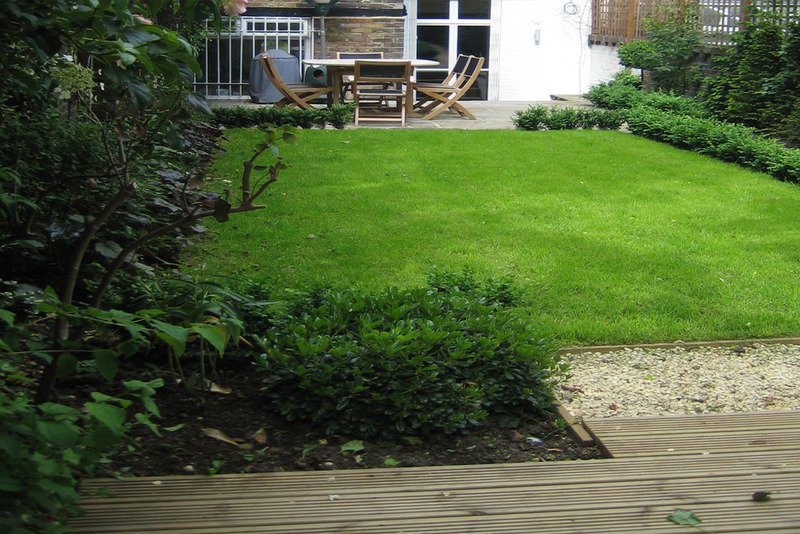 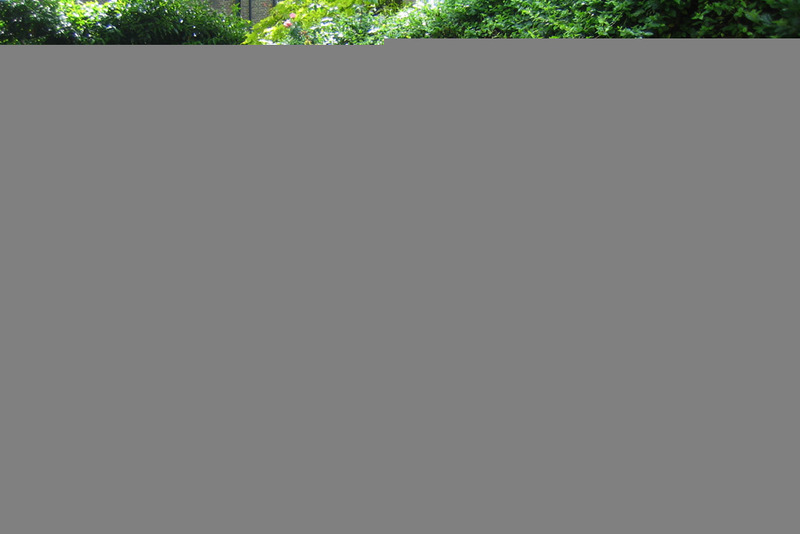 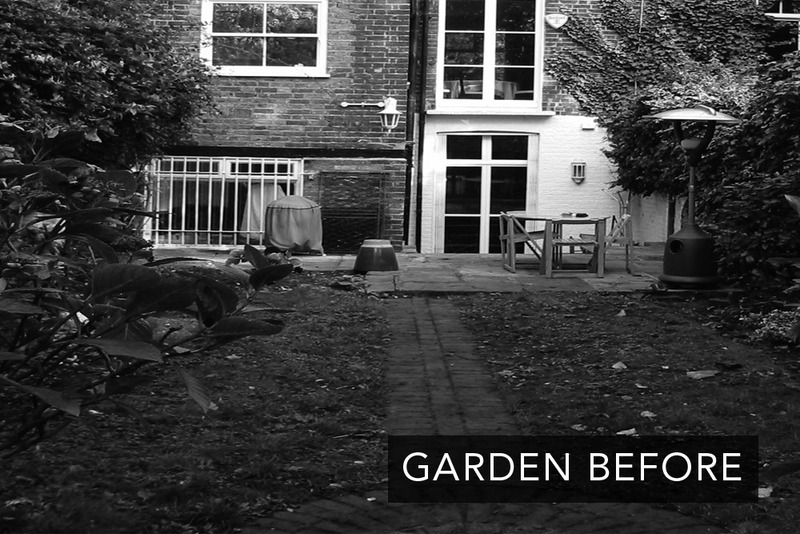 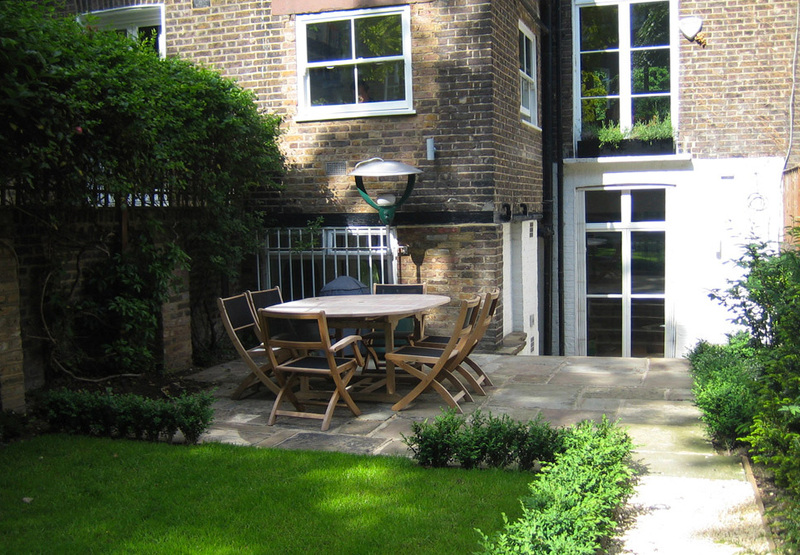 The brief was to lighten this dark overgrown garden and reorganize it in a formal pattern. 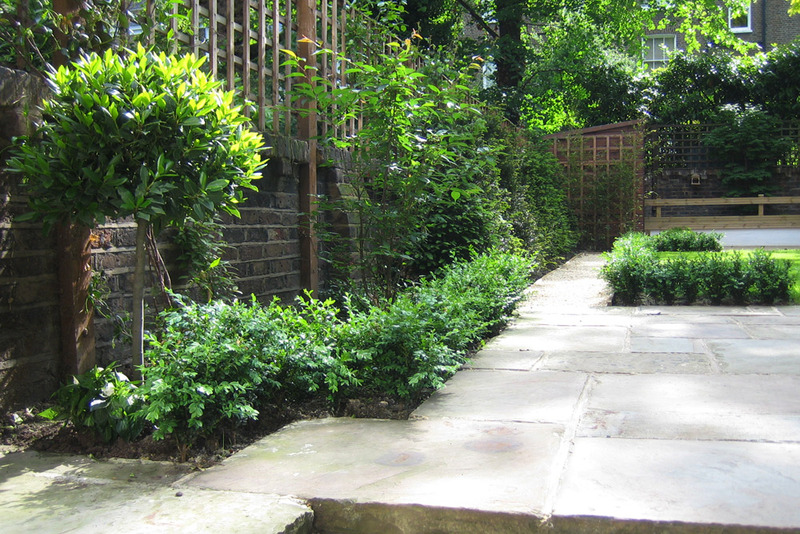 The existing York stone paved area has been widened to create a proper sitting area. 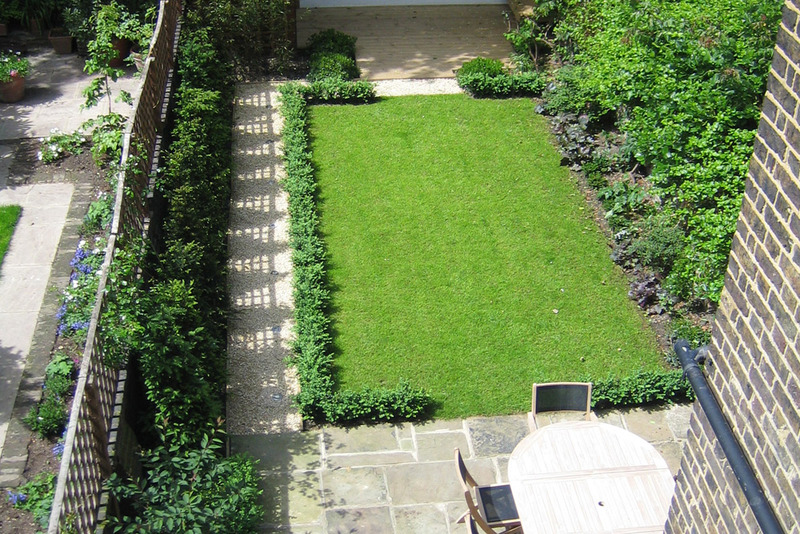 The lawn is wide and enclosed by box hedges. 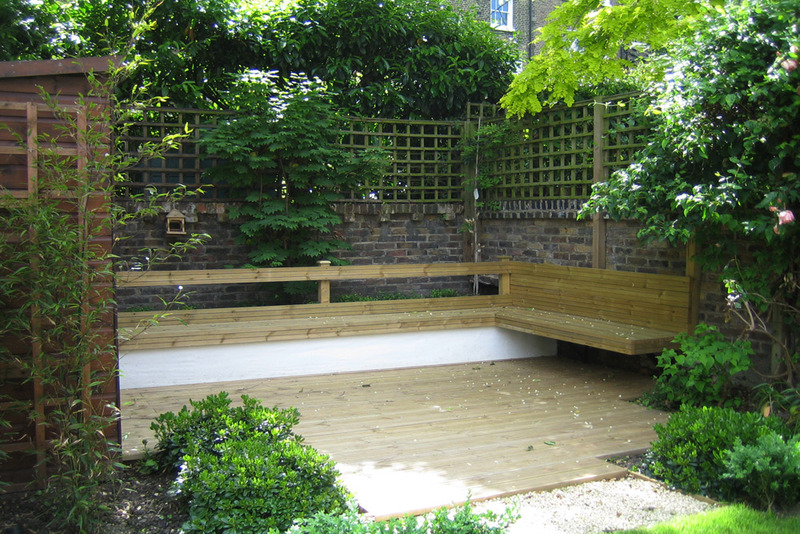 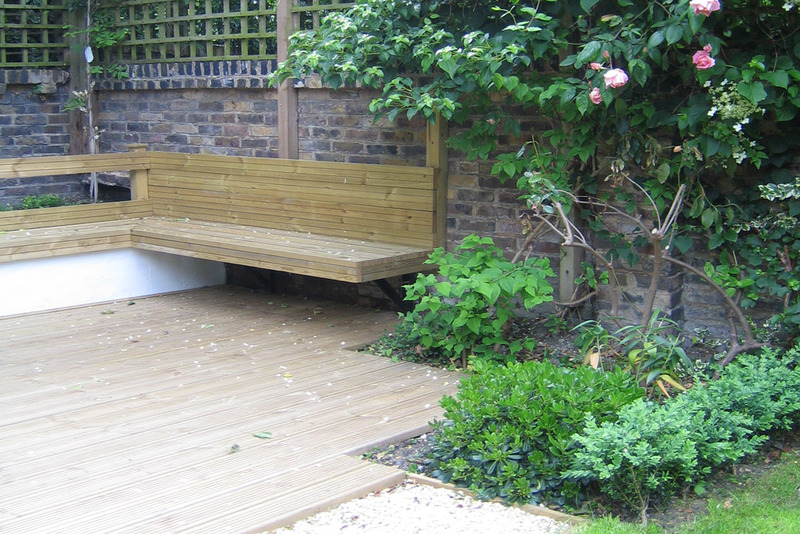 A gravel path – lit at night – leads to the back of the garden where this shaded area has been decked and designed with an L-shaped built-in bench giving another place to relax or entertain. 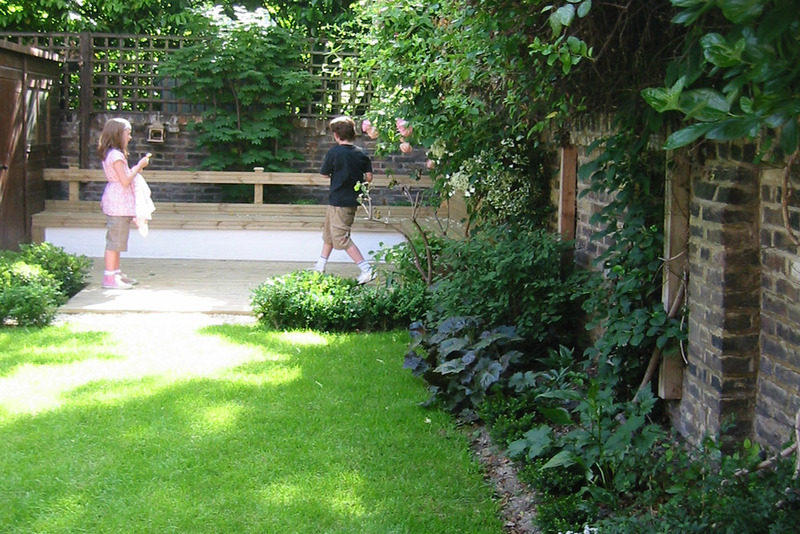 Clipped hedges of box, yew and evergreen shrubs give a formal look to the new layout.